Well, it is official. Fall is here but if you are a true Texan you know that doesn’t mean JACK! Each year when the seasons supposedly change, those of us in Dallas know that we have at least a few solid months of pool weather left and why not enjoy it, right? 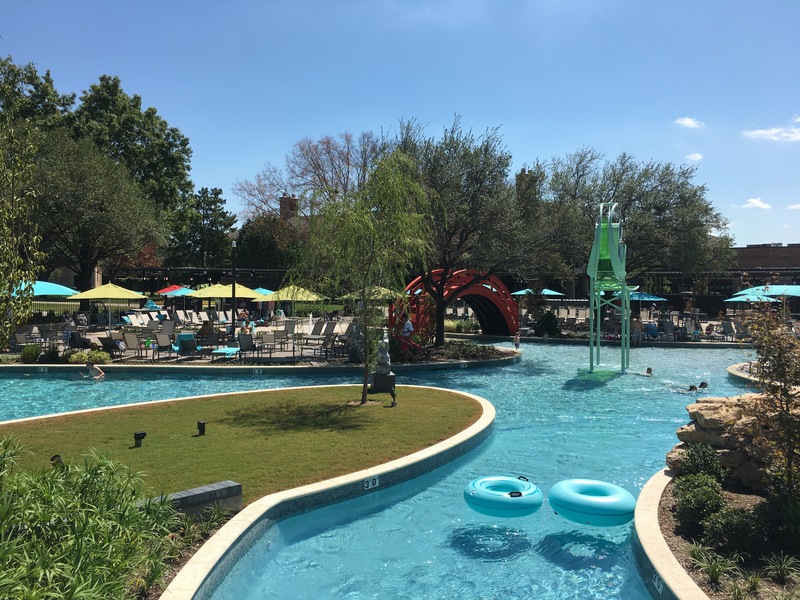 Lucky for us, the Hilton Anatole has the recently opened Jade Waters to make each and every one of our fun-in-the-sun dreams come true! 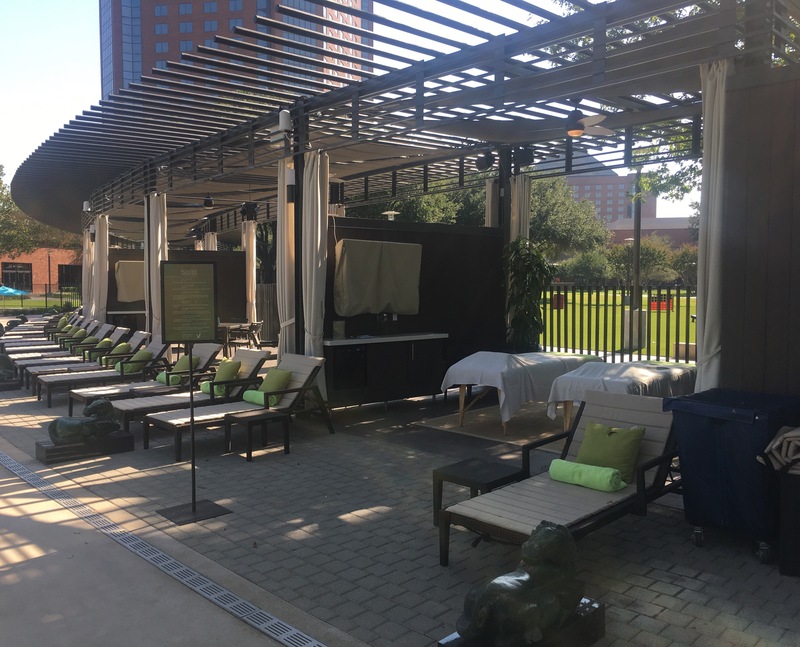 While Jade Waters is only open to hotel guests at this time, the Anatole offers several specialty rates and let’s be honest – with a pool this badass, even if there wasn’t a special rate going, I’d post up at the Hilton Anatole just to enjoy a luxe stay and then get access to the pool, too! 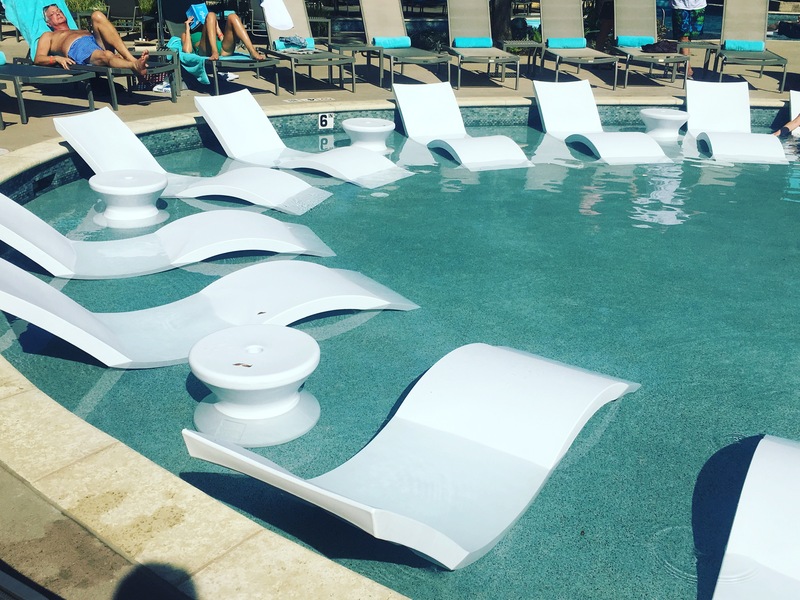 Check out these lounge chairs! I went around the lazy river 40 times. No really…. I am obsessed! The comfortable lounge chairs as well as the private cabanas that are available to rent. Looks like a lucky pair is about to enjoy a couples massage! Well, it is even better than it looks! 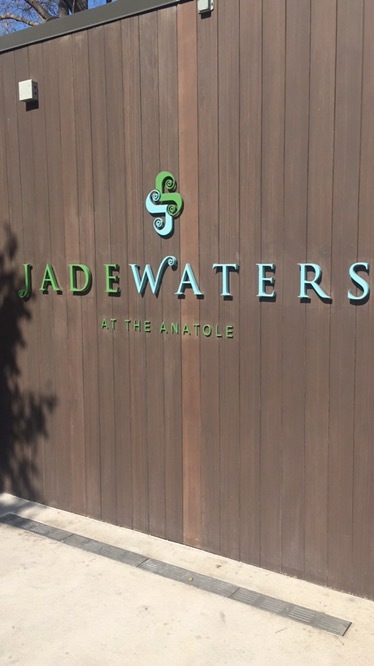 Jade Waters is truly paradise found in the heart of Dallas. 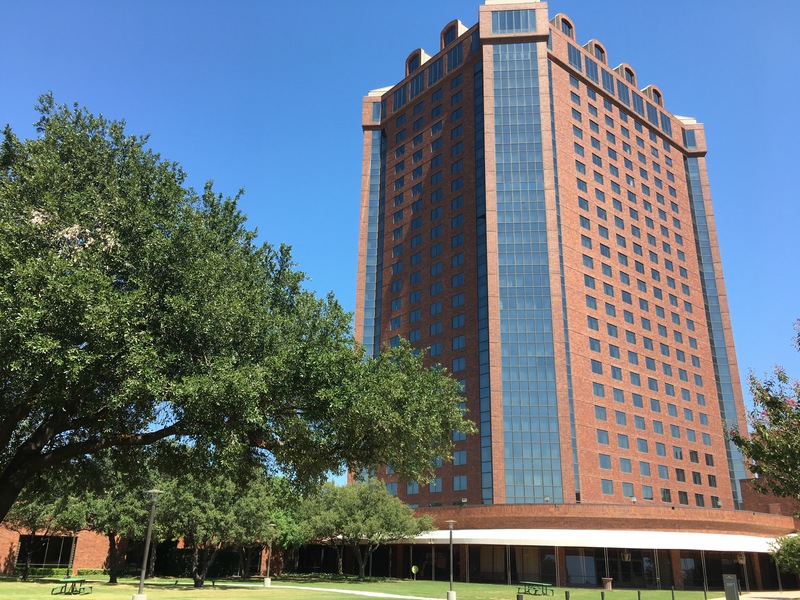 On top of Jade Waters being heaven on Earth, The Hilton Anatole offers up a wonderful staycation in and of itself. 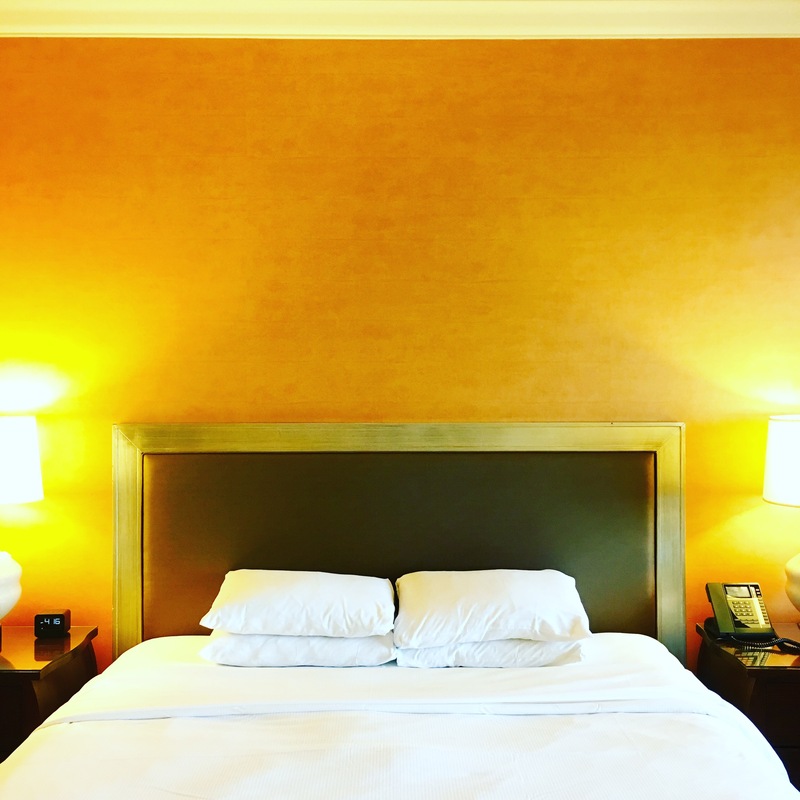 The rooms are cozy and unique, the beds are insanely comfortable and the staff is attentive and helpful. As you can assume from driving by from the highway, The Anatole is MASSIVE. They have tons of event space, a sports bar and not to mention, several restaurants, one of which provides one of the best views in all of Dallas. 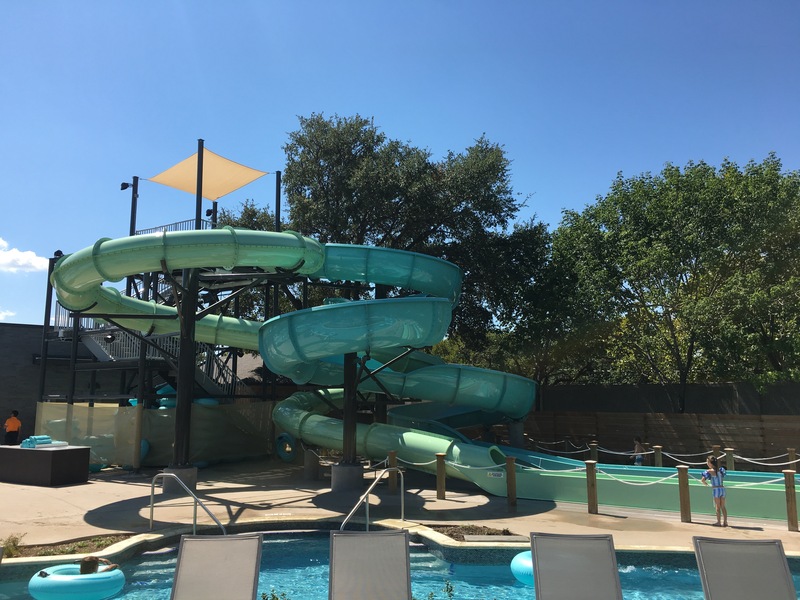 Update: Jade Waters is now closed for the season but don’t worry! You can still enjoy all that The Hilton Anatole has to offer!